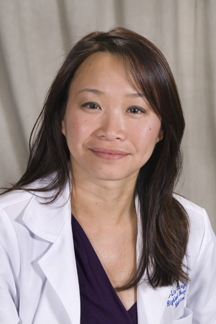 ROCHESTER, N.Y. -- Chin-Lin Ching, M.D., has been appointed as Director of the Highland Hospital Palliative Care Consult Service. Dr. Ching follows Daniel Mendelson, M.S., M.D., who became the first palliative care physician at Highland in 2000. Dr. Ching has been the Associate Director of the Highland Hospital Palliative Care Program since 2012 and is Physician Chair of the Highland Hospital Ethics Committee. She also serves as the Medical Director for Serenity House Hospice/Comfort Care Home in Victor, New York. She received her medical degree from the University of Rochester School of Medicine and Dentistry where she also completed her residency in Internal Medicine. Dr. Mendelson will remain part of the program as he focuses on growing Highland’s ambulatory palliative care practice in addition to his responsibilities as Associate Chief of Medicine for Highland Hospital.